Sometimes we find that our work-in-progress is not really a novel after all. We get to the finish point, and that place might be only at the 40,000-word mark (or less). In some circles, 40,000 words is a novel, but in fantasy, it is less than half a book. A short novel that has been read to shreds is far better than a long, boring book ending its days as a doorstop. I recommend not trying to stretch the length if you have nothing of value to add to the tale. It’s better to be known for having written a strong novella than a weak novel. So, now at the end of the rough draft, your book must become a novella. 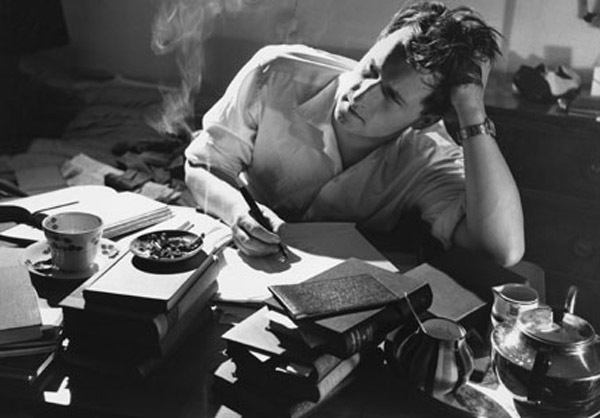 In the second draft, you will weed out many words and cut the unnecessary repetitions. The manuscript is going to both expand and contract, but when the final ms is complete, it may be only 35,000 words. But why do I think this? I have experienced this very thing. Sometimes, when I was just finishing the rough draft, I discovered that besides the four chapters that had to go since they don’t belong there anymore, 3 more chapters were mostly background, rambling to get my personal mindset into the story. That sort of background doesn’t need to be in the finished product, other than a brief mention in conversation. Often, when I go in and remove large chunks of exposition, I’m able to condense those chapters into one passage or scene that actually moves the story forward. Another thing to watch for when you are in the second draft, are areas where you may have repeated yourself, with a slightly different phrasing. These are hard for the author to pick out, but they can be found. Decide which phrasing you like the best, and go with that. We change these words to more active phrasing, and sometimes we gain a few words in the process. In conversations especially, it’s good to use contractions. ‘Was not’ becomes ‘wasn’t,’ ‘has not becomes hasn’t,’ etc. It’s amazing how many times we can simply cut some words out, and find the prose is stronger without them. Many times they need no replacement. The fact is, you must be willing to be ruthless. Yes, you may well have spent three days or even weeks writing a chapter you are about to cut. But now that you see it in the context of the overall story arc, you realize it is bogging things down, and NO–Sometimes there is no fixing it. Just because we wrote something does not mean we have to keep it in the story. But do save it in a separate file, as you may be able to use it later. I always have a file folder labeled “Outtakes.” Many times those cut pieces become the core of a new story. I strongly feel that no matter how much you like the prose you have just written for a given chapter, if the chapter or passage does not advance the story, it must go. Pay close attention to the story arc. Large chunks of exposition flatten it, pushing the plot point back, and the reader may give up. Once you have your rough draft complete, measure the tale against the blueprint of the story arc. Where does the inciting incident occur? Where does the first pinch point occur? What is happening at midpoint? Are the events of the middle section moving the protagonist toward their goal? Where does the third plot point occur? Back-story happens as an author writes the tale. In my early works I left the back-story in, not realizing how it interfered with the flow of the story. 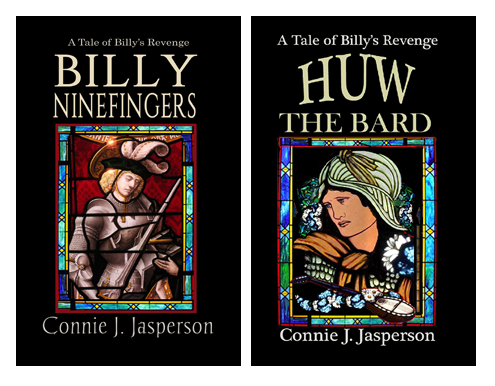 Now I am rewriting my first published novel, removing the info dumps and using the skills I have developed in writing my last four novels to tell the story through scenes and dialogue. Sometimes writing is like pulling a rabbit out of my hat–Voila!!! And there it is, the best scene I’ve ever written. I see it fully formed in my head and it falls out of my fingers as if I were seeing it before me. The spring thaw was heralded by the hissing of rain on the frozen fir trees. Five men swathed in heavy cloaks rode miserable horses north, braving the eternal damp of a chill April morning, riding through snow heavy with slush, splashing through myriad puddles as the snowy landscape of the northern winter slowly melted under the assault of the spring rains. Other times, it takes days and hundreds of failed attempts to figure out what it was I really wanted to say, what that one crucial paragraph needs to tell the reader in as few words as is possible. 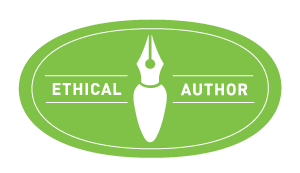 Getting the back-story into the tale without spewing pages of detail is critical. In order for the reader to understand the action, they must understand the back-story. 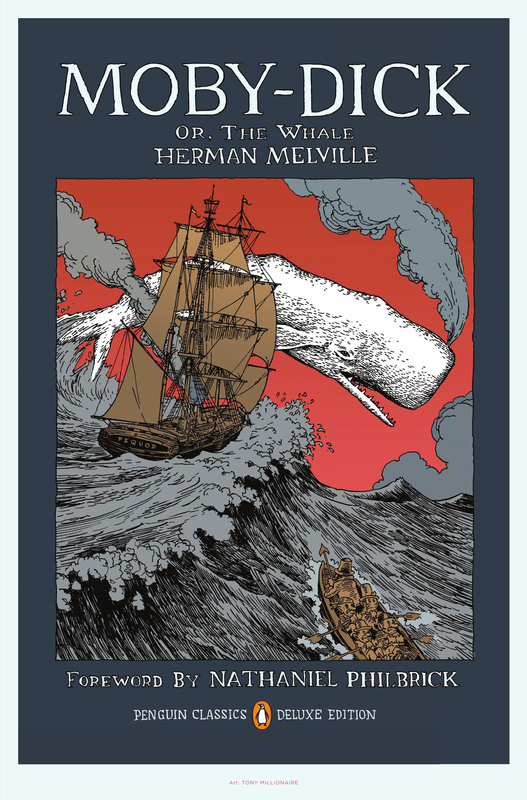 However, long info-dumps are no longer the fashion–the days of Herman Melville and J.R.R. Tolkien are gone: the modern reader has a leaner taste in literature. Thus the author must find ways to insert the back-story in such a way the reader is intrigued. I’ve lately attempted to read several tales where the authors have been humiliated in their writing groups by the snarky guru (you know the one I am talking about) to the point they now put no back-story at all into their tale. The jealous, rudely sarcastic diva has accomplished his mission–once again he’s made a more talented author afraid to write. Back-story is critical, because action must happen for a reason. When things happen for no reason at all, the story is nothing but random, senseless actions. Without back-story we don’t care about the protagonist, no matter how handsome and witty he is. An author once told me he put no back-story in because he wanted the reader to find out what was happening at the same time the protagonist discovered it. I found his work to be random, and senseless, which was too bad, because just a little insight into WHY the action was happening would have made it so much more interesting. When I read a book, I become involved with the characters if there is a sense of history, if I want to know this person. Having some knowledge of what makes this person tick intrigues me. Why did Maldred order Geoffrey murdered? A snippet here and there, artfully inserted into to the scenery and the dialogue will inform the reader in such a way they don’t realize they are being informed. Thus the author must craft the tale. A good way to dole out the back-story and still leave the reader’s imagination intact is to write in such a way the information is slipped into the story in small chucks to spread it out. Having characters discuss important events of the past is another effective way to get the information to the reader. However, you must use this tool wisely so as to not to fall into the trap of using dialogue to tell the story. It’s a balancing act. This is where the craft of writing comes into play. We learn through writing and from getting proper feedback on our work.Writing is like cooking–experience will give you some idea of how much seasoning is too much. A writing group, whether online or in your community is an excellent place to begin sharing your work and getting feedback. Don’t be afraid of criticism, because even the snarky guru has a point–he just has a bad way of displaying it. Also, don’t expect to ever write to THEIR satisfaction, because it won’t happen. However, you can learn a great deal there if you choose to. 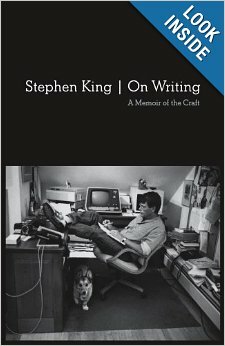 A great book for new writers is Stephen King’s On Writing-A Memoir of the Craft. He tells us of his own life up to his well-known near-death experience, which is gripping in itself. But more importantly he tells us about the craft of writing, and how to develop the tools you will need, and the skills to use those tools. Back-story is like perfume. A hint is awesome, and makes you curious. Too much overwhelms the senses and drives away the reader. 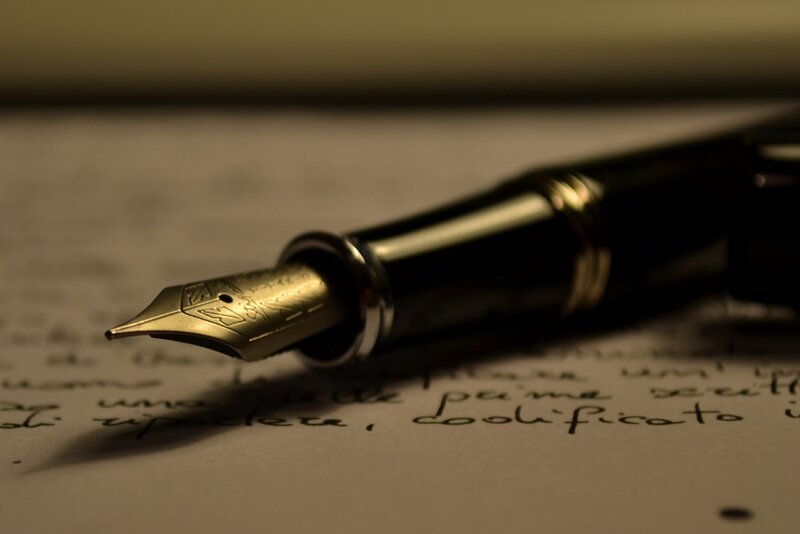 Write for yourself, but write as well as you can. And never stop growing as a writer.